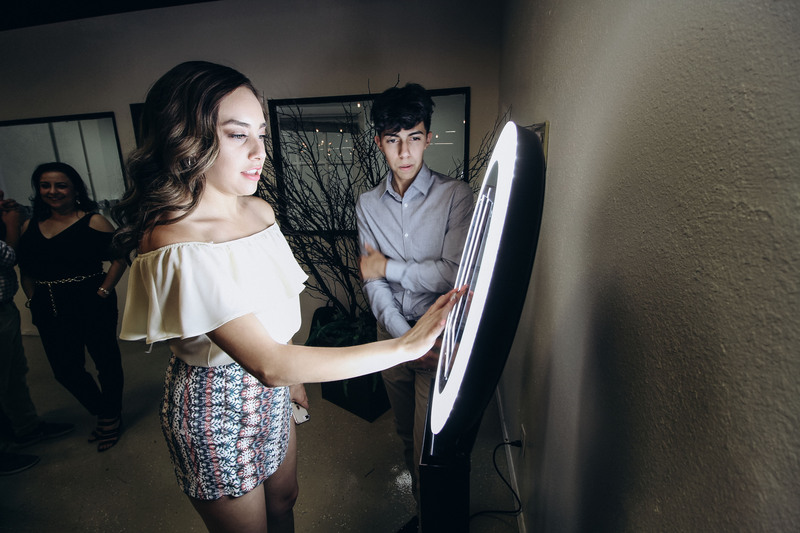 Photo Booth Rental El Paso: #1 Since 2009 - El Paso Photobooth Co.
Ready to take your event to next level? Check out our awesome interactive selfie mirror! Includes animations, overlays and much more! Take a seat in our vintage inspired traditional booth. You'd be surprised how many people can squeeze into this booth. It's a ton of fun for any occasion. 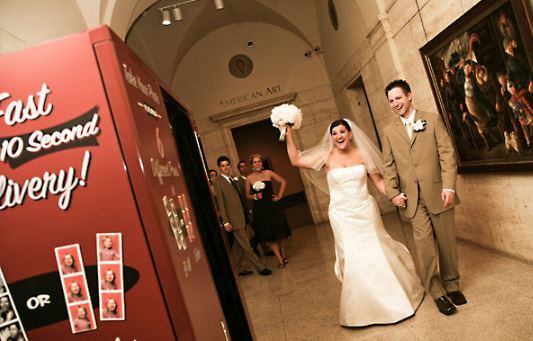 A gorgeous looking photo booth with a beautiful light ring and social upload capabilities. Perfect and fun for all kinds of events. Looking for the best photo booth rental El Paso, TX has to offer? You’ve come to the right place! Guys, my name’s Gary and I personally want to help make your personal or corporate event awesome and memorable. 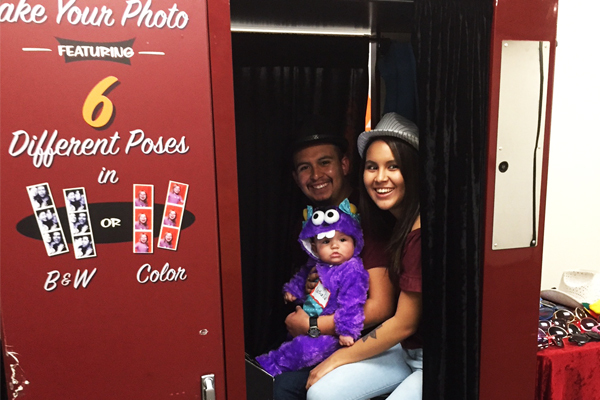 When it comes to photo booth rentals El Paso, Texas chooses us. My team and I are professionals and we understand that it’s not just the booth that makes the party but also the people running it. 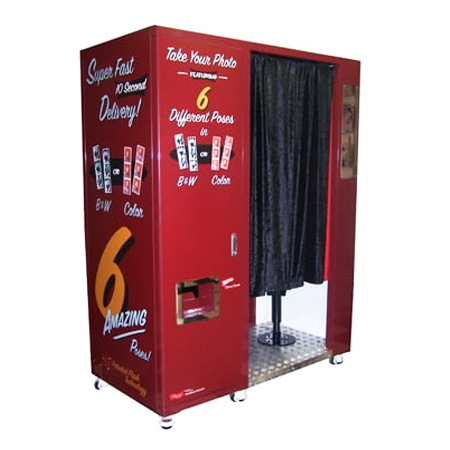 We offer 3 types of fun, high quality photo booths for rent: Mirror, Selfie and Traditional. Make your next event a huge hit by renting one of our booths. Beautiful premium quality photos that print in just 15 seconds so your guests can get back to the fun fast. You never have to worry about running out of prints or photos. Your guests can take and print as many photos as they want. All of your photos will be saved on a cd or jump drive for you to keep forever. Make your guests photo booth experience a blast with mustaches, signs, wacky glasses and much more. Prints are personalized for your party or special event for that extra special touch. A booth coordinator will be assigned to your event to ensure an awesome, hassle free experience for you and your guests. "I would never hire anyone else for my events. When it comes to El Paso photo booth rentals Gary and his crew are super friendly and professional. 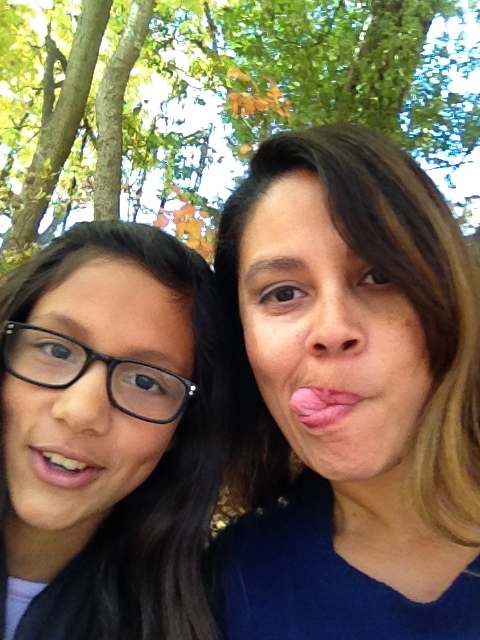 My daughter loved how the pictures were personalized for her quince." Everything you need to know about renting a photo booth. 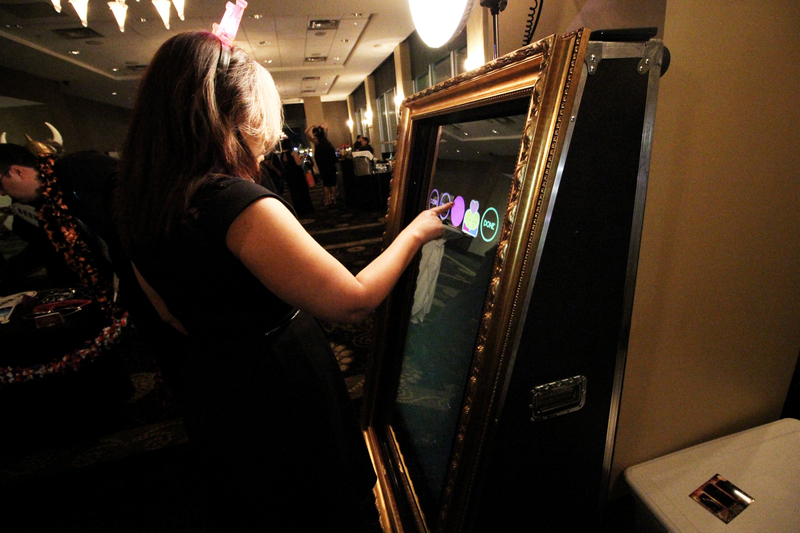 People have a great time with photo booths and it gives them an instant keepsake of your event. 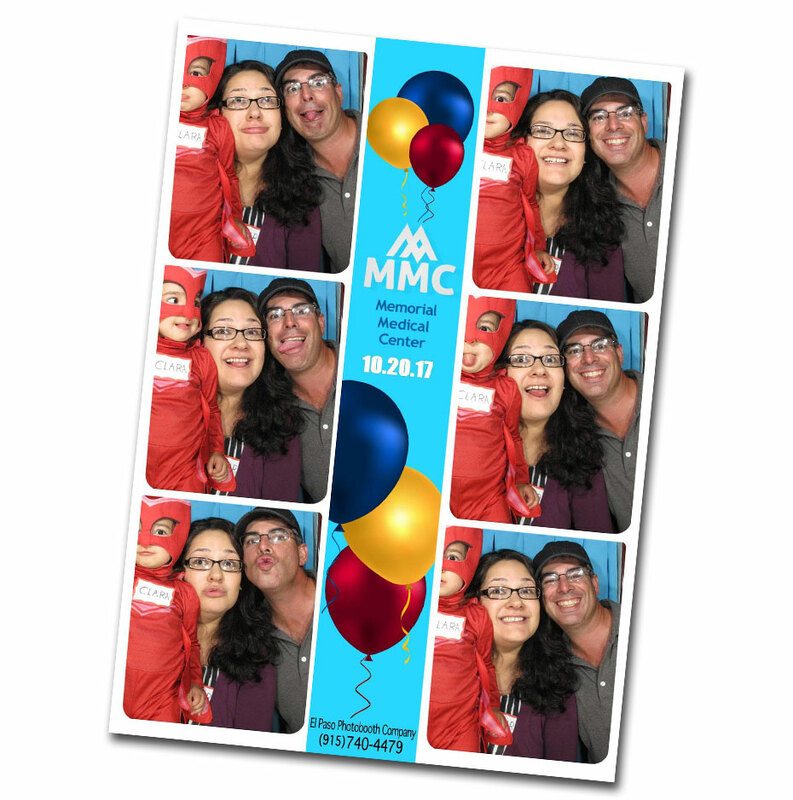 Photos never go out of style and the booth encourages interaction and fun (even your introverted cousin will have fun!) In the booth there is limited space so a big part of the fun is trying to get everyone to fit in. Add props and the fun factor rises even more! How many pictures do I get and what's the quality? The rental includes unlimited photos. You’re really only limited by the speed of your clients/guests! Our booth coordinator will ensure the line is flowing smoothly so that everyone gets a chance to get in on the fun. The prints are studio quality and will not fade. They have a clear coat so when partying they won’t be easily ruined by fingerprints, smudges or drops of liquid. Hey it’s a party, things happen! How much does it cost? What are your prices? Great question, our pricing is very competitive. The price depends on a few factors such as date, location, hours of the event, and any extra options. We will respond very quickly to your request for pricing. Click here to contact us for photo booth rental pricing. How many hours do I get with my rental? You get up to four hours with a standard rental. Of course you can add more if you like to make sure your event is covered to your complete satisfaction. Your rental will include delivery set up and removal of the photo booth by one of our professional staff, unlimited photos for however long you choose to rent the booth, props and prints personalized for your event. Additionally, a friendly and professional photo booth attendant will coordinate and assist guests at your booth for your entire event. How long do my guests have to wait for their prints? Wait, what wait?! The photo booth prints pictures very quickly. In fact your guests will have their photos within 15 seconds of their last post. You don’t need to worry about your guests standing around forever. Guests want to party and they want to have their pictures fast! After getting your customized quote, a deposit of 50% will be required to reserve your date. If you are working with budgets or are thinking about a date, we can “hold” your date for you. When we “hold” a date, we give you first rights to the date if someone else calls for the same date. We then give you 48 hours to decide if you want to book the date. We will be happy to “hold” dates for up to 60 days. What days and times are typically available? You can rent a booth for any day, time or night of the week. It really just depends on availability for the date that you request. Got a wedding, birthday party or quince at night you can count on us. Need a booth for your school, corporate or church event no problem. Booths are a great way to liven up any event at any time of day or night. 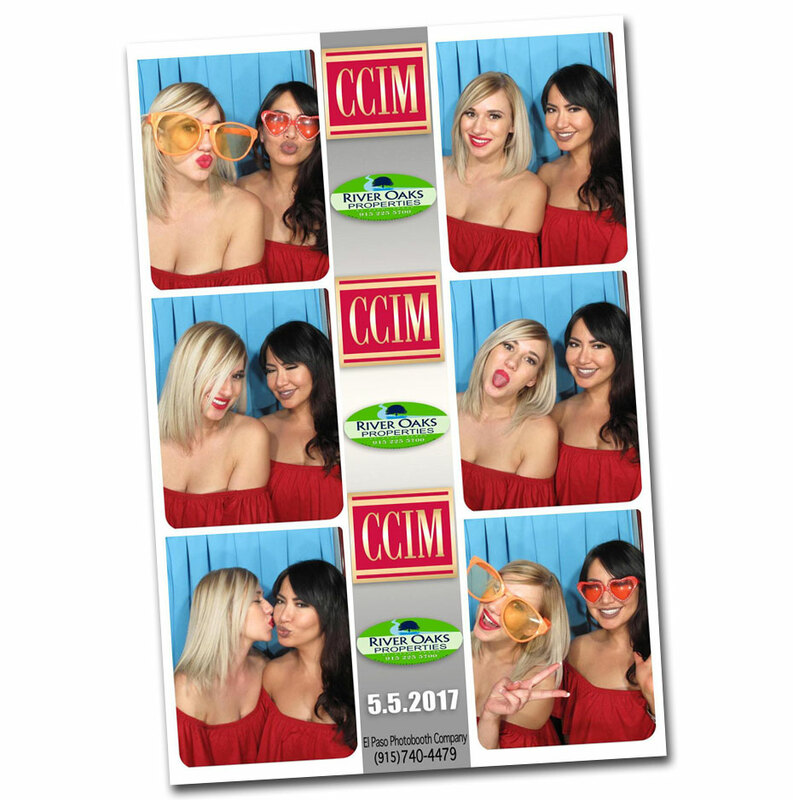 Do you provide photo booths for corporate events? Yes we have served hundreds of organizations around the El Paso area with quality photo booths and awesome attendants for years. They get people interacting, conversing and connecting so they’re perfect for corporate events. Call us! We’re the most reliable photo booth company you can hire. Can prints be personalized for my event? Absolutely! Yes the prints can be personalized to match your event. This is a particularly popular option so that guests can remember your event for years to come. What types of events are good for photo booths? Wedding photo booths and quinceanera photo booth rentals are very popular, as well as birthdays, bar and bat mitsvahs, anniversaries, corporate events, fairs, church functions, team building events and any other special event you can plan. What are the booth dimensions and is power required? Our booths are vintage style, metal booths with a small footprint. They’re the real deal and a lot fun. Half the fun is getting everyone to squeeze in for a funny photo. Length – 4’ 9”, Width – 2’5”, Height – 6’ 2”. In order for the booth to operate we will need to be able to plug it in to a standard 120v electrical outlet nearby. We provide service to the greater metropolitan area of El Paso, Las Cruces and surrounding cities up to 250 miles including Horizon City, Sunland Park, Anthony, Canutillo, Socorro, San Elizario, Chaparral, Alamogordo, Cloudcroft, Ruidoso, Sierra Blanca, Van Horn, Carlsbad and all towns in between. We will travel to your location, set up our booth, man it and remove it. Additional fees may be incurred depending on your distance from El Paso.